The best kind of gluten-free find is when you just stumble upon it. While trixing my way around the Upper East Side I came upon a gluten-free bakery called Pip’s Place Gluten-Free Cakery. Even though I had just ate, I’d be a fool to not at least stop in and see what it was all about. It was definitely love at first site. Coconut is just so amazing and when you add it to a dessert (macaroons, cake etc.) you have just upped the ante. 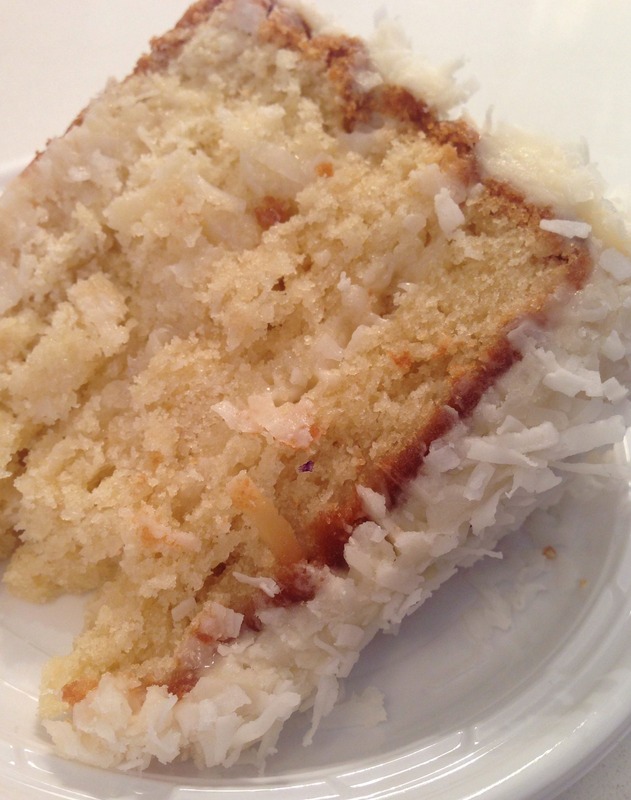 The gluten-free Coconut Cake is Pip’s best-seller and it’s easy to see why. It’s a three layer white cake with coconut in-between each layer and topped with coconut frosting and finally covered in coconut. That’s a lot of coconut! If you love coconut you can’t go wrong with this amazing little beauty. Hands-down my favorite kind of dessert is anything lemon or lime. I don’t know what it is about the tart, tangy flavor that gets my tastebuds all riled up but it’s my crack. 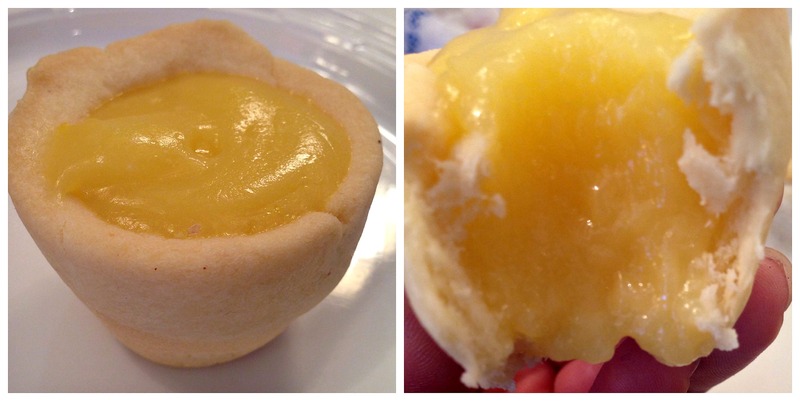 Pip’s gluten-free Lemon Tartlet is a shot glass-shaped, buttery, flakey crust filled with lemon custard. The custard in regards to taste and texture is perfect. It really hit the spot. I’m not a big fan of red velvet desserts, it usually doesn’t do anything for me. I decided to try something new to help give me a better perspective of everything that’s offered. 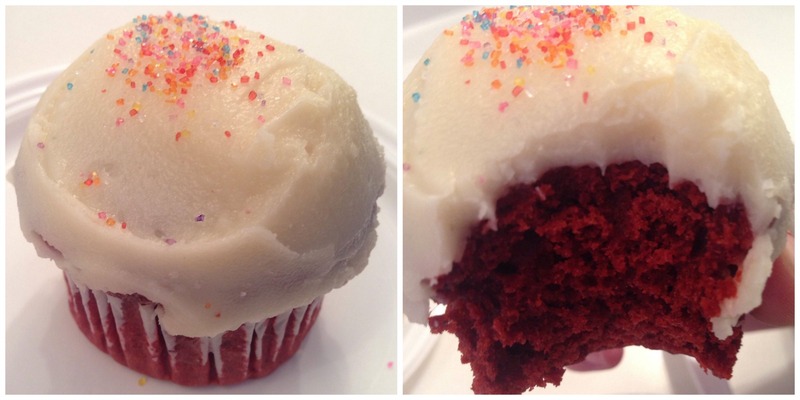 Pip’s gluten-free red velvet cupcakes are insanely fresh and most. The big attraction to this dessert is the cream cheese frosting that’s sweet but not overkill. Denise, Owner of Pip’s Place, opened a second location on 127 east 39th street. Both locations are certified gluten-free and offer the same selections of desserts. Denise decide to open up Pip’s Place for the combination of her love for baking and that her daughter, Pip, was diagnosed with Celiac Disease. 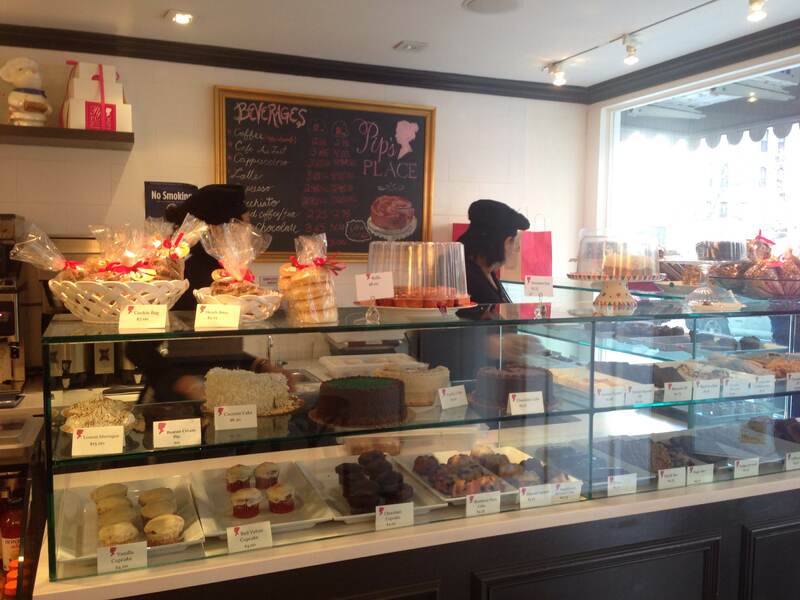 Pip’s Place is an intimate cakery with a friendly, knowledgeable staff. They were very patient when I wasn’t sure what I wanted (too many options!) and were happy to answer all my questions. I love the array of gluten-free choices from cakes, bars, muffins, rolls and more. Everything I tasted was great and fresh, definitely one of the better gluten-free desserts I’ve had. I do feel that the prices are a little high but at this point it won’t stop me from going once in a while.